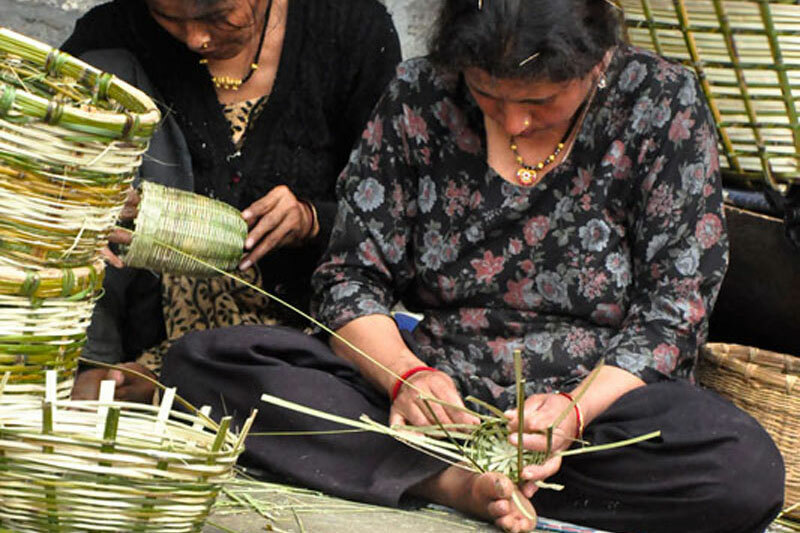 Bamboo craft is practiced in many places of Uttarakhand due to abundant availability of rich quality and variety of species of bamboo in local forest. 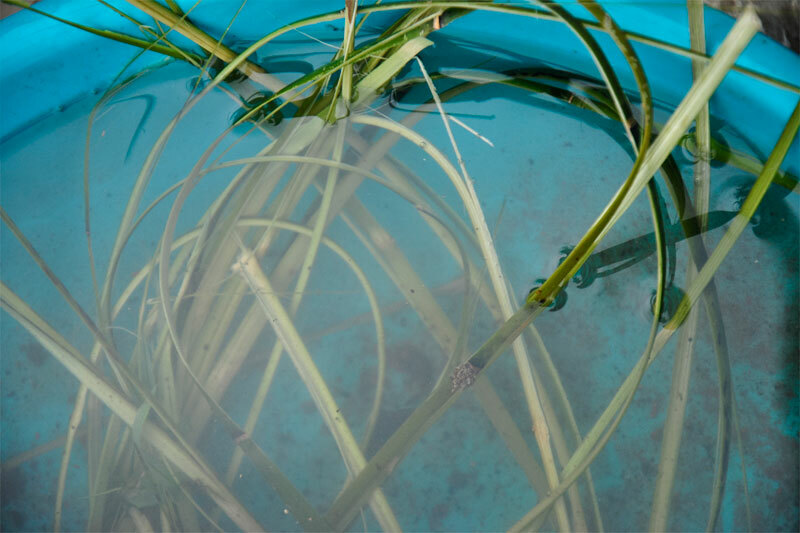 Among the species of bamboo Ringal is one of the bamboo species. 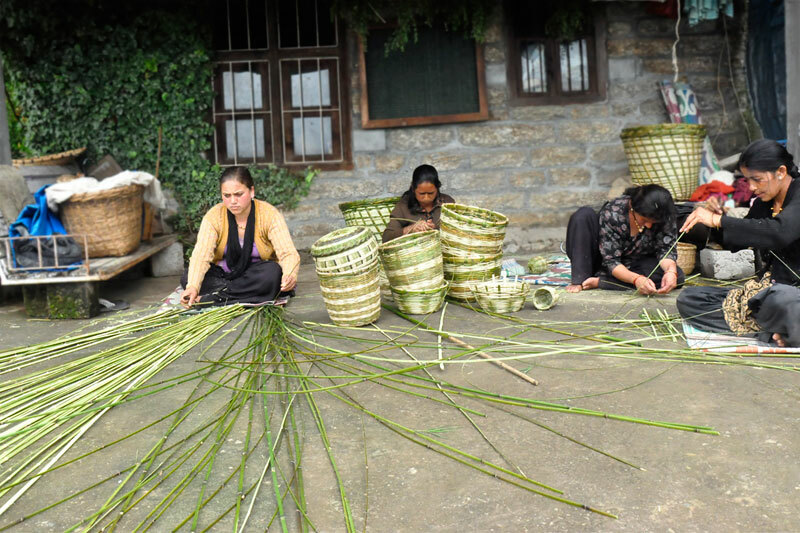 The farmers fetch the ringal bamboo from the forest in October to November and weave the baskets in the winter when there is not much work in fields. 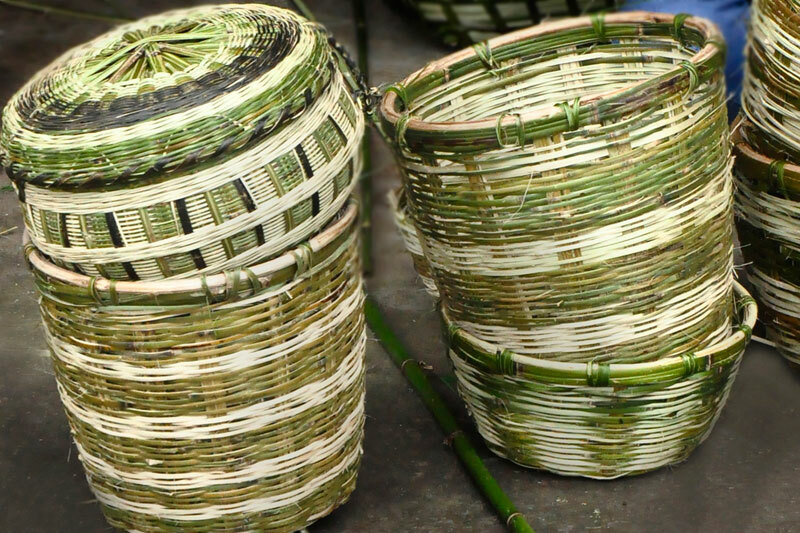 The whole bamboo is split into small strips as per the product to be made. 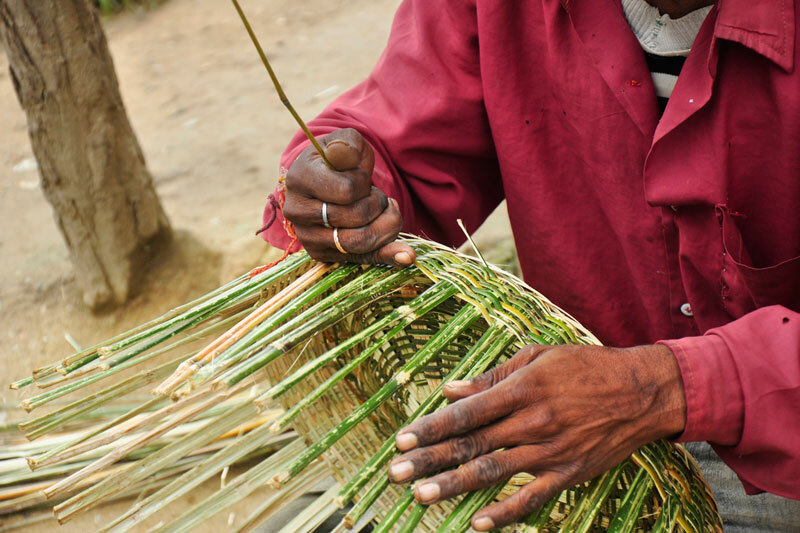 The excess fibre of bamboo splits are removed before weaving the basket. 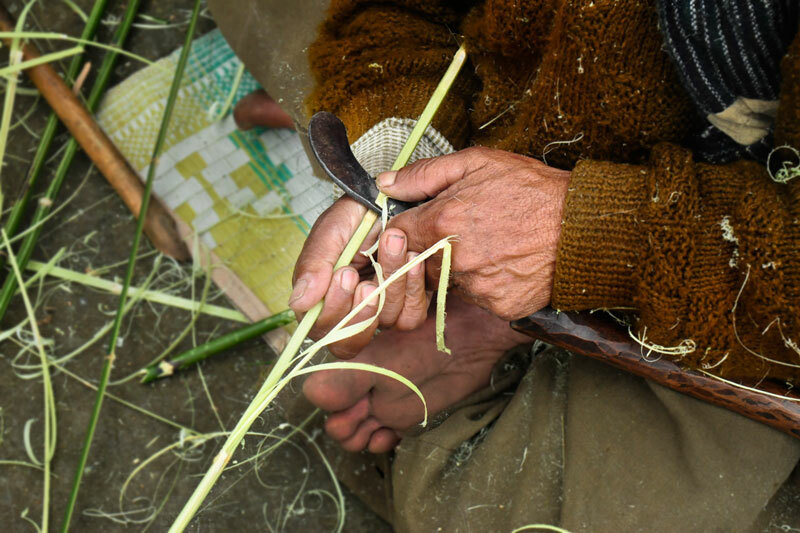 Artisan makes sure to split the bamboo in different widths for warp and weft. The thick wide strips are first placed to make the base. 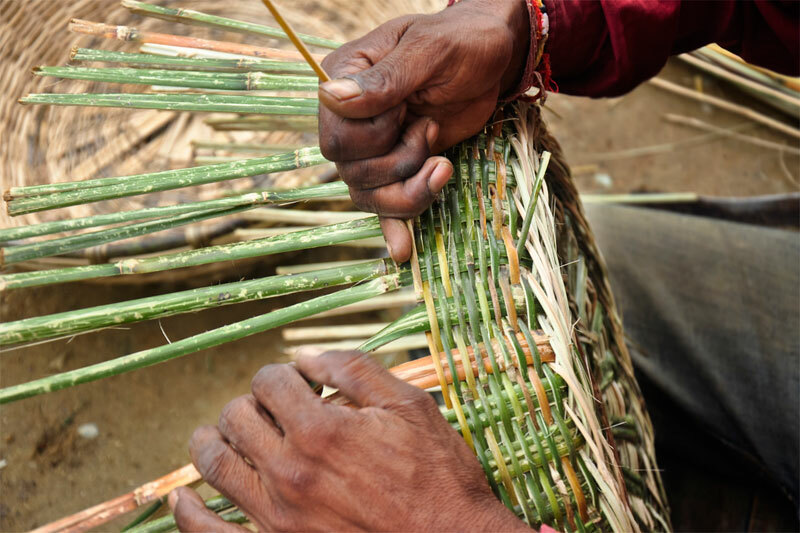 Thin strips are weaved by overlapping the base strips. Once the base is formed, the side walls are increased by adding the additional bamboo strips. 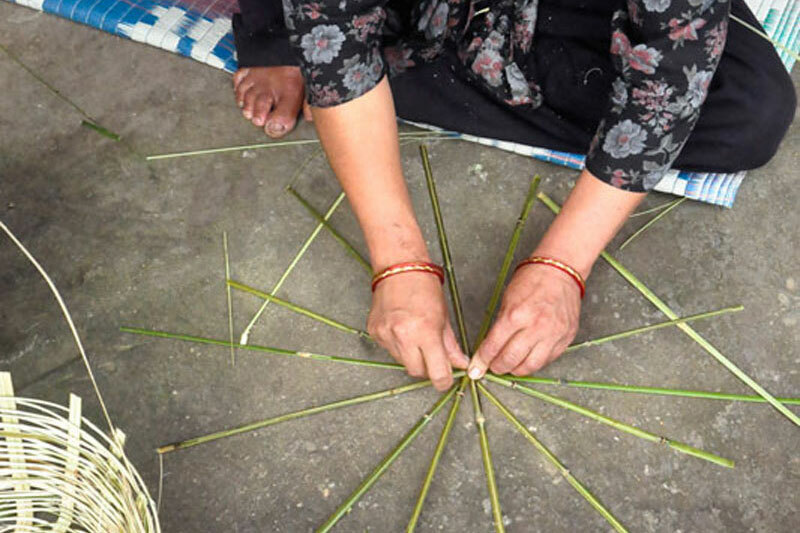 Once the weave is attained required height, the rim is sandwiched with two thick bamboo splits to interlock the border. 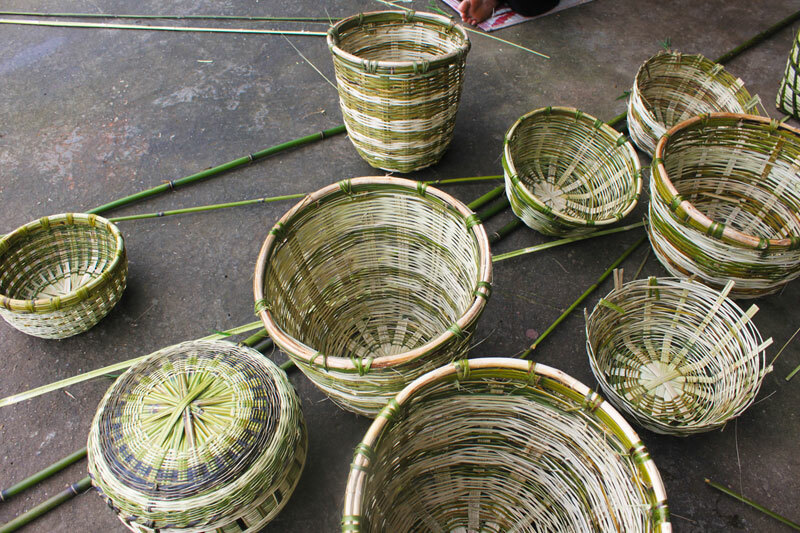 Artisan scholarly weaves the basket to obtain dark and lighter contrast on the outer surface of the product by selecting and inserting darker and lighter shades of bamboo splits. 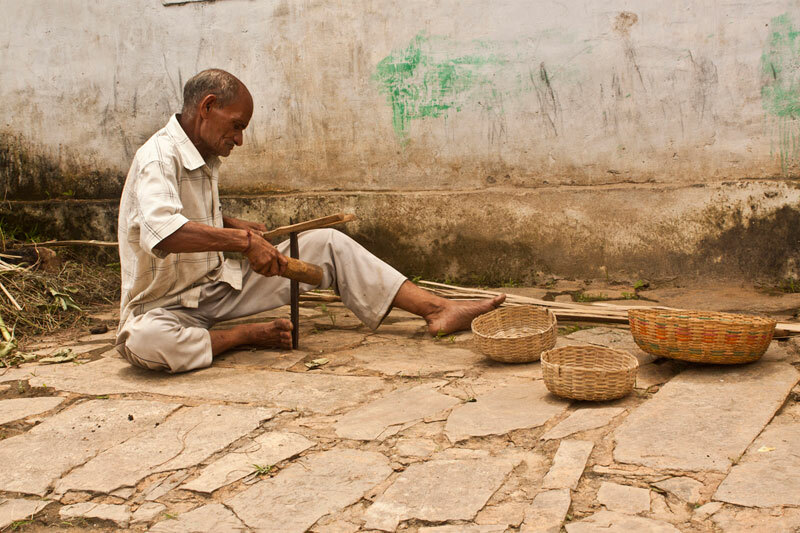 The finished baskets are mainly used for storing grains and supplements and carrying purposes. 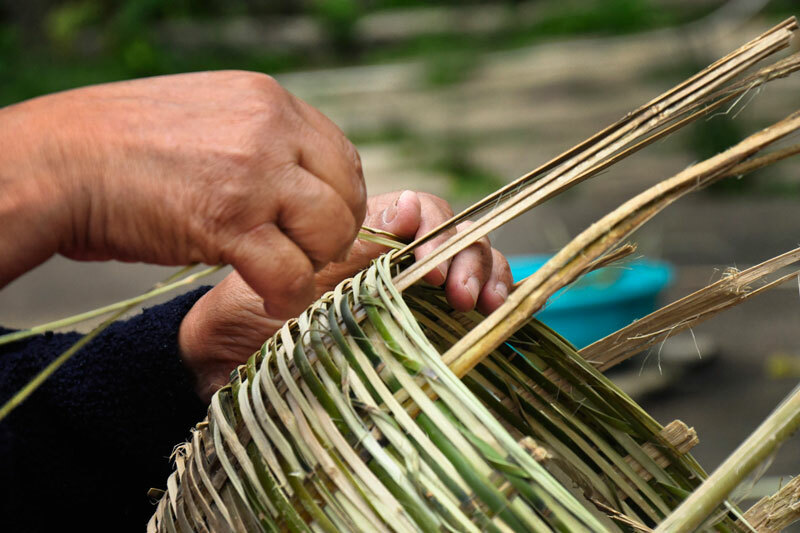 Some baskets are ornamented with plain weaves. 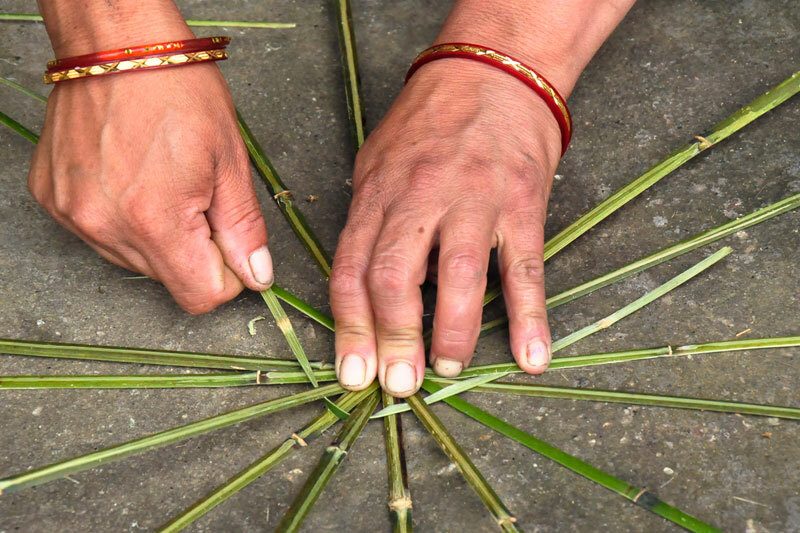 Ringal Bamboo products are tough and durable.